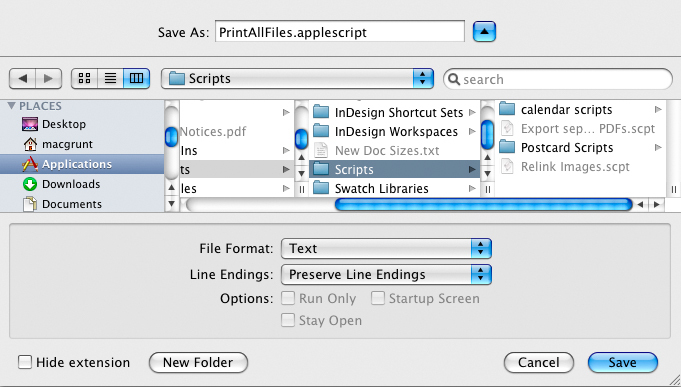 both file formats work equally well from the InDesign scripts panel, but the fact is you cannot search the contents of .scpts through spotlight, but you CAN search through the contents of .applescript files because they are essentially text files. why is searchability important? 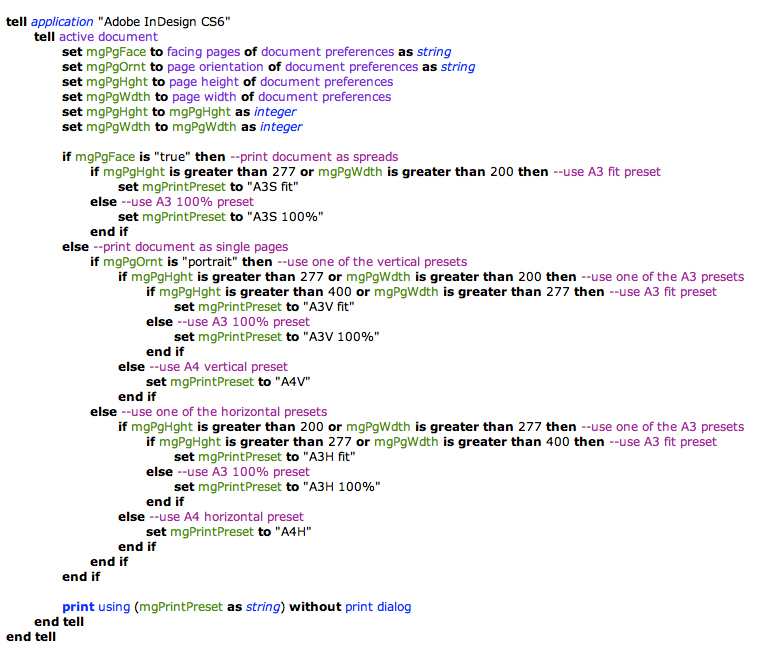 because when you get more involved in scripting and you have dozens and dozens of scripts and script snippets lying around, it helps to be able to search for that little bit of code that you used somewhere in some kind of script a couple of months ago but can’t quite remember which one. we’ve included two optional parameters with the ‘choose from list command’ – ‘with prompt’ and ‘with title’. you can change those two bits of black text between the quotation marks to whatever takes your fancy. 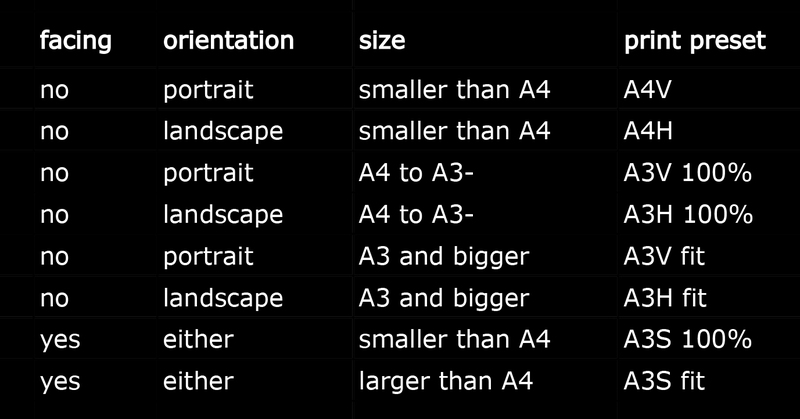 or you can get rid of those optional parameters altogether – see what happens. but that would give us the same result as hitting command-p for every document – no benefit there at all, because we have to click OK for every print dialog window. 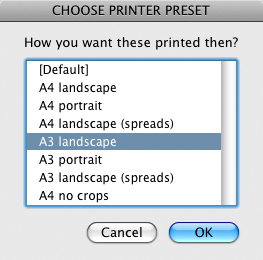 curiously, the same would happen even if we added the “using (name of printer preset)” bit. 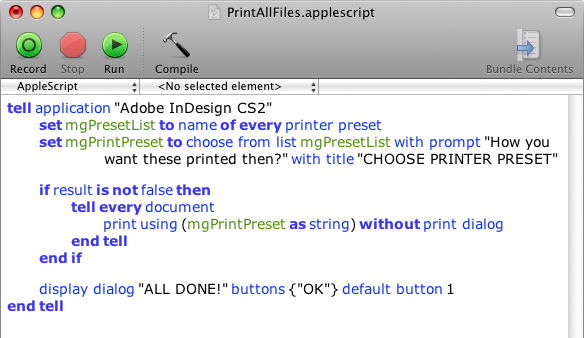 the real magic is in the last part – “without print dialog”. as well as suppressing the usual print dialog, this part of the command also kills the usual ‘missing links’ dialog as well. for the workflow this script was developed for, this is perfect because that bloody dialog is just a pain. ymmv. you’ll find this script will save time even if you have a single document to print — just two double-clicks and you’re done. 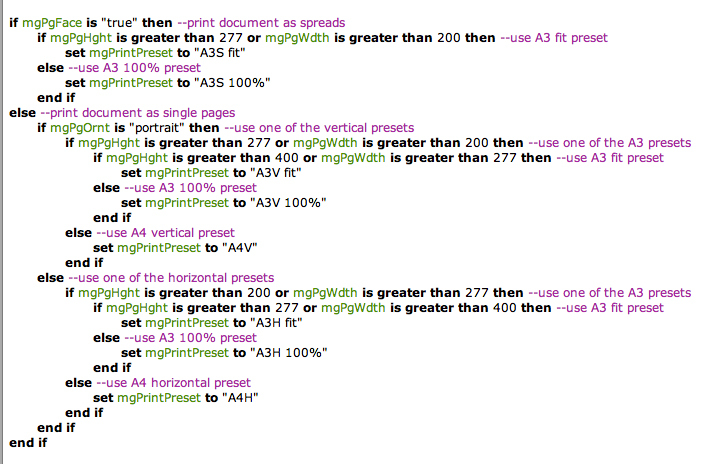 but it really kicks arse when you need to print multiple documents using the same preset.